“Starting out we used to have this saying, that we were three months from being rich or three months from being broke..” enters Joel Grimes. I had just asked him to share with me, the moment when he felt he “finally made it” as a professional photographer. Joel, a successful commercial photographer for the past 27 years, is now an author, educator, and still owns a studio of his own in Denver, Colorado. He’s worked with Hyatt, Goldman Sachs, Sony, RedBull, Visa, and many more over the years. Let’s hear some more from Joel. Q. Can you tell me how you developed your unique photographic style? Joel feels very passionately about photographers needing to develop their own unique style, and learn how to emphasize those strengths in any project they take on. As a photographer, the success of your business, depends solely upon how effectively you can illicit desired emotions and create an experience for the people viewing your works. If you want to build a community around your images, start with being different and by providing value to the people you’re targeting. Do your images warm someone’s heart? Do they get people excited to go and explore the outdoors? Pick your target and work hard until you make it happen. Q. What’s the best advice you’ve ever received in the photography business? Q. What final advice would you give to the CreativeLive audience? Want to learn more from Joel about how to break into the photography business? 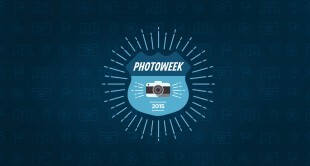 RSVP for Photo Week 2015 and you’ll get free live access to his class on Thriving in a Competitive Industry.